Monday I go to work for a while to get staff photos and my new ID badge. Then Thursday I start work. Thankfully this year it's only 8am to 12 so I should have more stitching time than last year. So today I was in the studio making the most of my time. 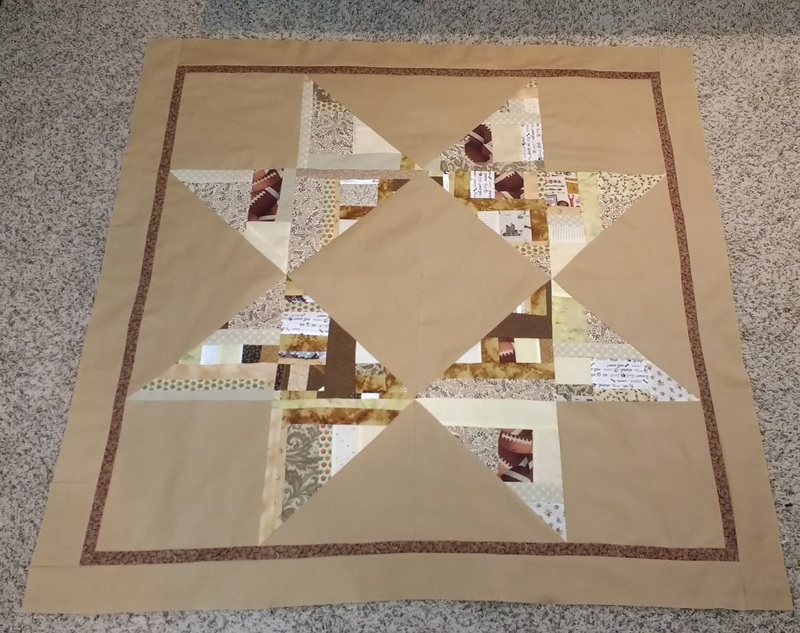 I quilted four charity quilts. This is the only one I put the binding on though. It's got a nice bunny print for backing so a little'n will enjoy it. 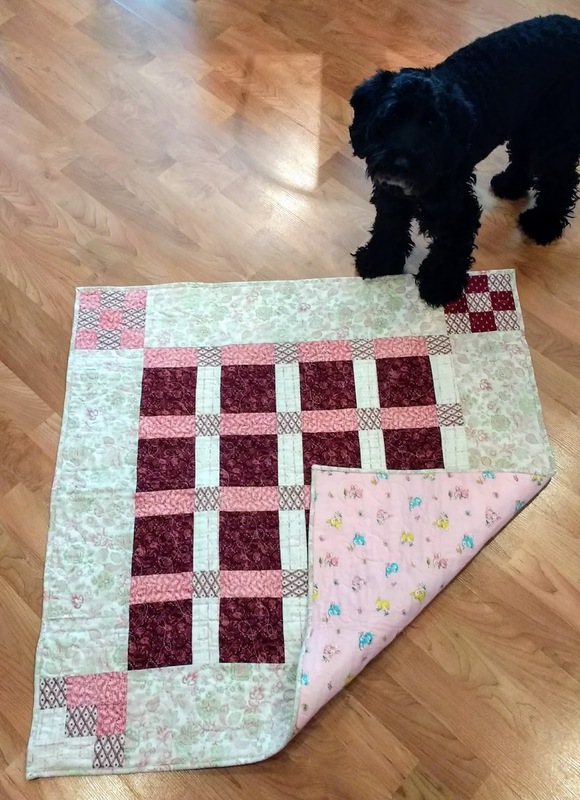 Then I finished the scrappy quilt top I started yesterday. The improv pieced sections were my Rainbow Scrap Challenge blocks for this month If you are not familiar with RSC check out the link to the info: http://superscrappy.blogspot.com/p/rsc-17.html. I think I should do that more often!!!!! 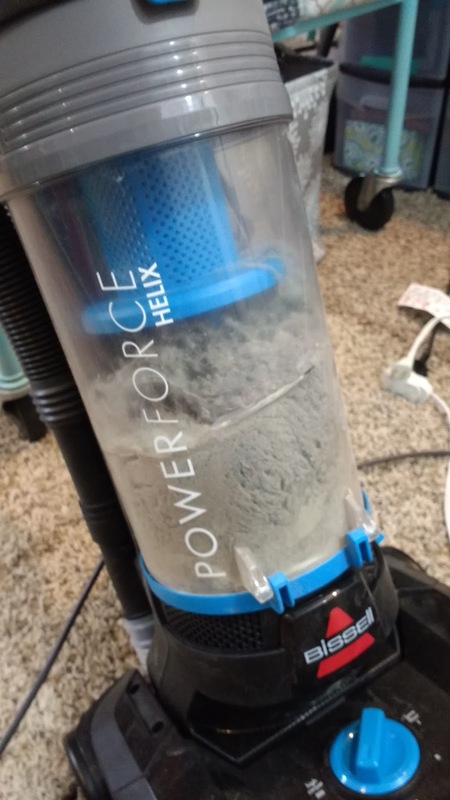 OMG I've never seen the vacuum this full. You can probably see the ugly carpet in the background it's neutral and hides the dirt well! And I have several washable fluffy turquoise rugs that lay in walkways. So then I decided to get the steam cleaner out and clean the carpet too, so it can dry overnight and my studio will be even more pleasing to be in tomorrow than usual.